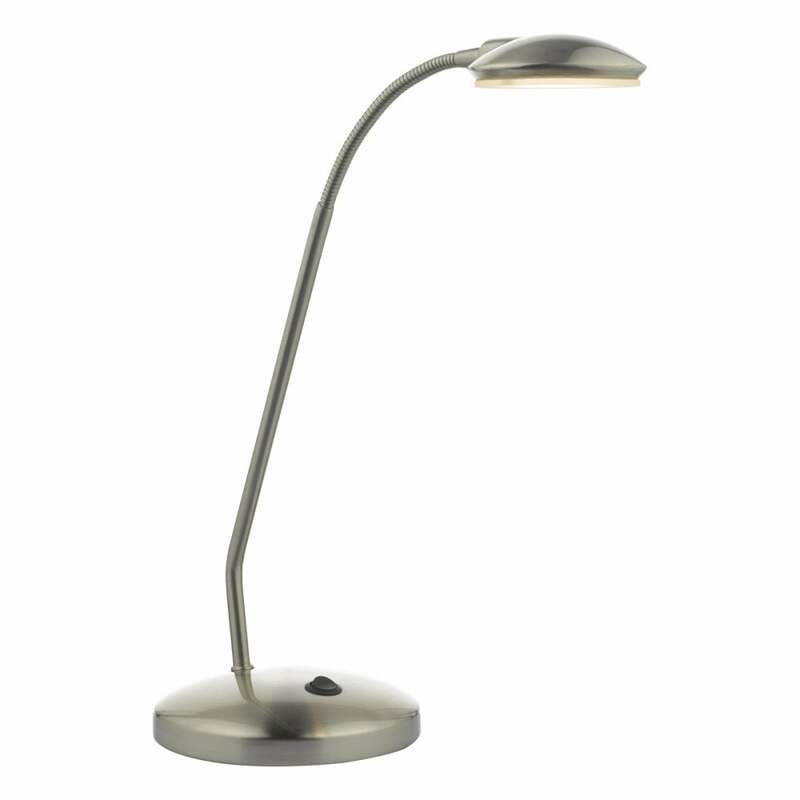 Dar Lighting Aria single light LED desk lamp with adjustable neck in satin chrome finish. The product code for this item is ARI4046. Sleek and elegant are just many ways to describe this outstanding Aria LED desk lamp. Featuring a slender base with an adjustable neck, this fitting allows you to direct the light where you need it. Operated by a rocker switch. Also available as a floor lamp in antique brass or satin chrome finish.